Today, thousands of families, friends and supporters joined the 13th annual Meagan's Walk: Creating a Circle of Hope, a 5-kilometre walk that raises funds for paediatric brain tumour research at The Hospital for Sick Children (SickKids). Participants came from every corner of the country, from Saskatchewan to Newfoundland, and even south of the border as far away as the sunshine state. More than $500,000 was raised for today's event alone, the most successful Meagan's Walk fundraising results since its inception. The event, proudly presented by Colliers International, started from historic Fort York and ended at SickKids where participants joined hands to form a human hug around the hospital. The money raised this year brings the cumulative fundraising total to more than $3.5 million since the walk began in 2002. Mothers with children currently at SickKids were also honoured at Mother's Way at SickKids and received a rose at the end of the walk. 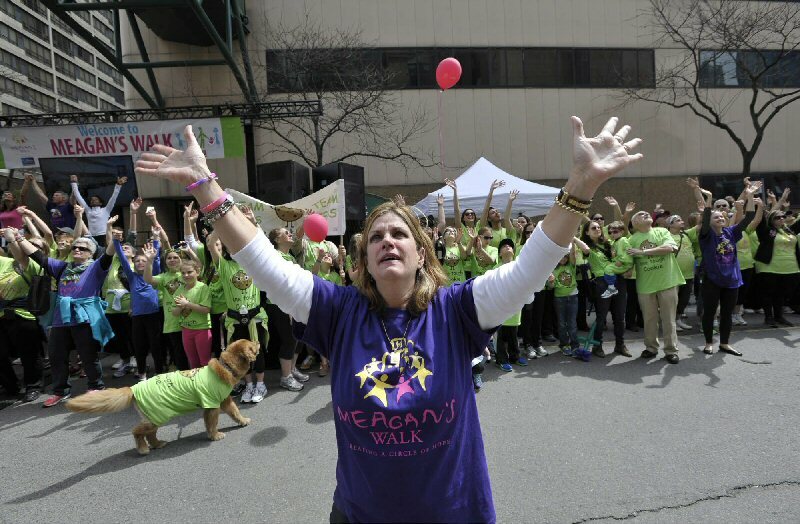 "We are so thankful to the thousands of people who continue to support Meagan's Walk every year," said Denise Bebenek, founder of Meagan's Walk and mother of Meagan Bebenek, who passed away from a cancerous brain tumour in 2001. "There are so many amazing doctors, researchers, volunteers, school groups, sponsors and celebrities who are not only helping us raise much needed funds, but are spreading our message of hope to children around the world." "Colliers International is pleased to be the presenting sponsor again this year as it solidifies our involvement with Meagan's Walk on both a corporate level and a personal level as many of our employees are walking this year," said Ken Norris, Executive Managing Director, Colliers International. Proceeds from Meagan's Walk help support research projects and programs at SickKids, which has the only laboratory in Canada with a program dedicated to paediatric brain tumour, namely, the Arthur and Sonia Labatt Brain Tumour Research Centre. "SickKids has made great strides so far this year in advancing knowledge and research about paediatric brain tumours. This work is simply not possible without the support of the community and events like Meagan's Walk," said Ted Garrard, President and CEO, SickKids Foundation. "We are also thrilled to have Meagan's Walk as a key fundraising event during our third annual Healthy and Happy campaign in support of children's health this month. The theme of this year's campaign is Healthy Active Living, so participating in Meagan's Walk is a great way for families to be active and spend time outdoors." Meagan's Walk: Creating a Circle of Hope was founded by Denise Bebenek in 2001, the year she lost her cherished five-year-old daughter Meagan to a cancerous brain tumour. With the support of volunteers, school groups, sponsors and other supporters, Meagan's Walk raises funds for, and generates awareness about, paediatric brain tumours - the leading cause of cancer-related death in children and young adults under 20 years of age. 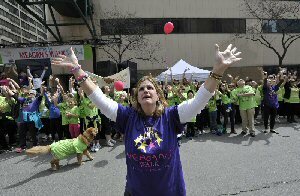 Their largest event is the annual Meagan's Walk. Each year thousands of participants gather on Mother's Day weekend for a 5-kilometre walk which culminates in a human hug around SickKids to send strength and love to those within. Other events include an annual gala and Crane Ceremony in addition to numerous school and community events throughout the year. 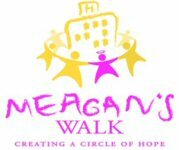 For more information or to find out how you can support Meagan's Walk: Creating a Circle of Hope, call 416-239-7843, or visit http://www.meaganswalk.com.